Cushioned backrest and seat for comfort. Detailed stitching design on chair with chrome arms. Available in two colour finishes. 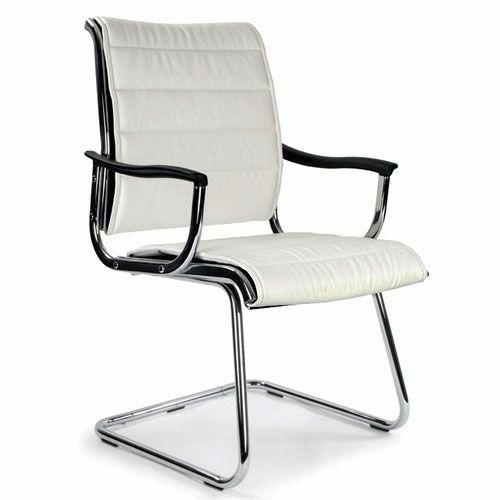 Leather effect chrome cantilever framed chair.